When I visited Chesini on Monday late afternoon, Osvaldo Rinaldi and Pamela Santolini were great hosts, generous with their time to show me the Chesini line-up and the entire Via San Paolo facility. 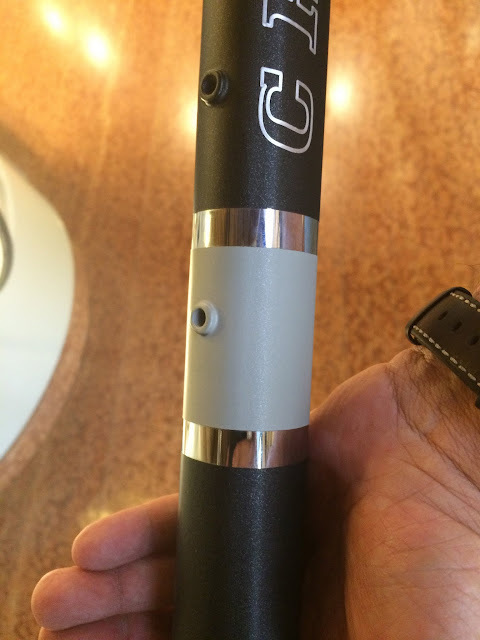 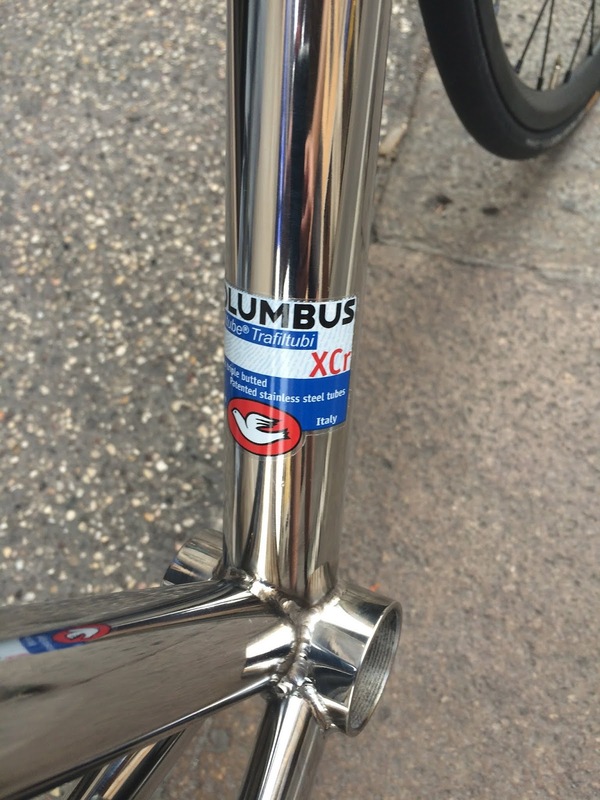 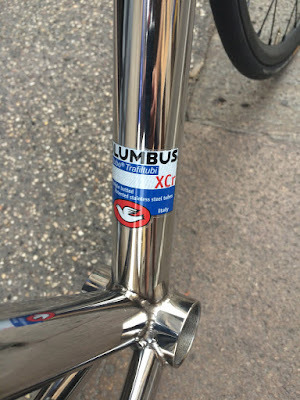 Columbus XCr tubing - shiny thing! 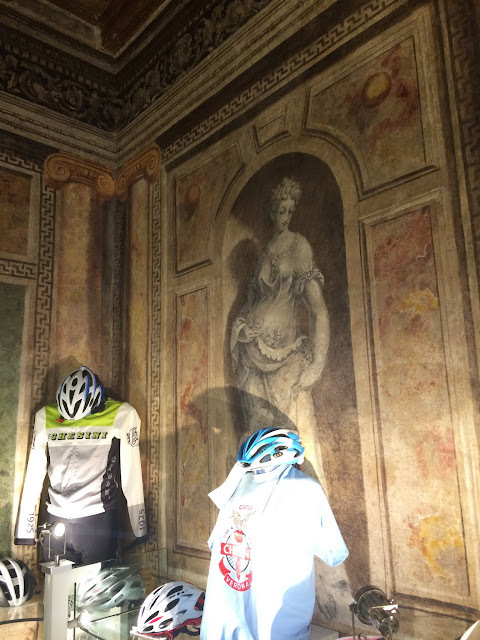 Of course, the historic building includes some historic bikes! 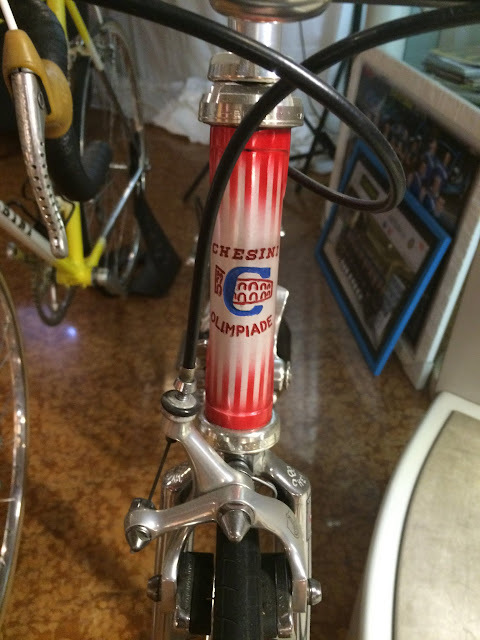 An "Eroica-ready" classic Chesini bicycle from the late 1970s or early 1980s. The building is hundreds of years old. 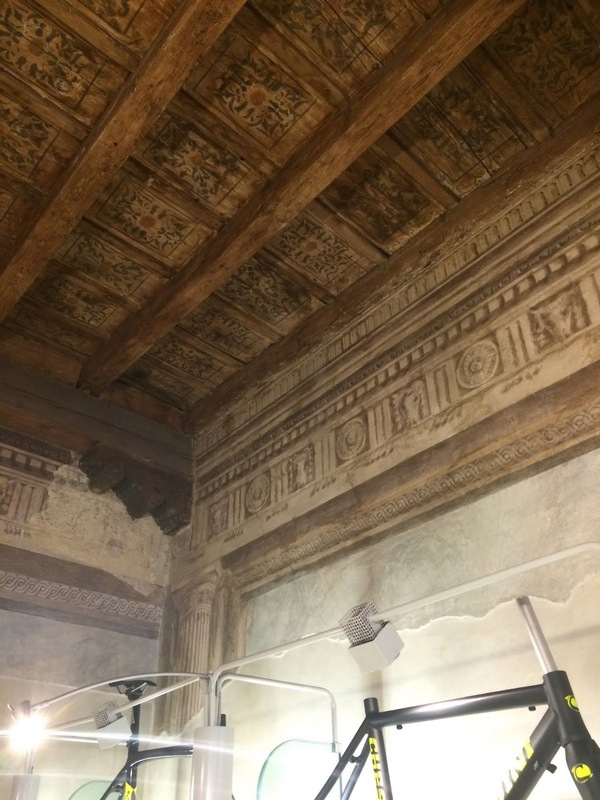 The spectacular frescos and ceiling are not modern fake "add ons," but original equipment! 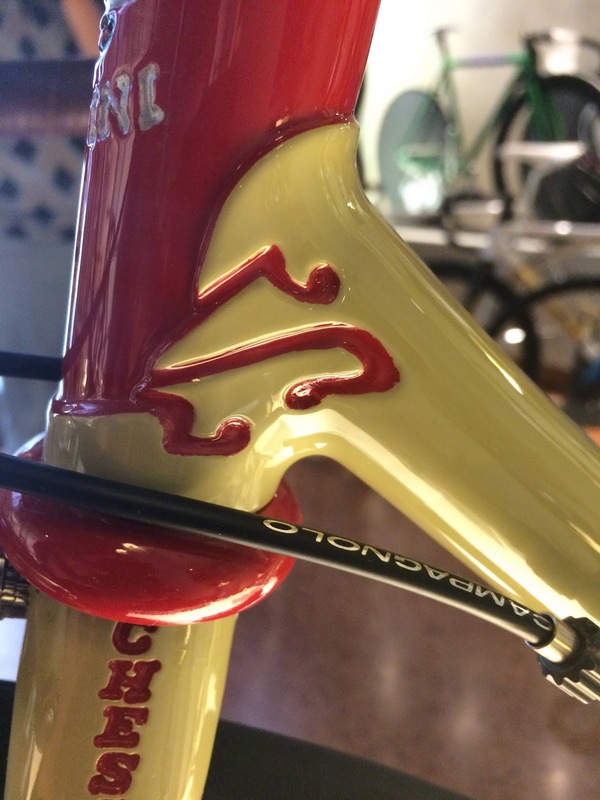 A little bit of this art goes into each bicycle. 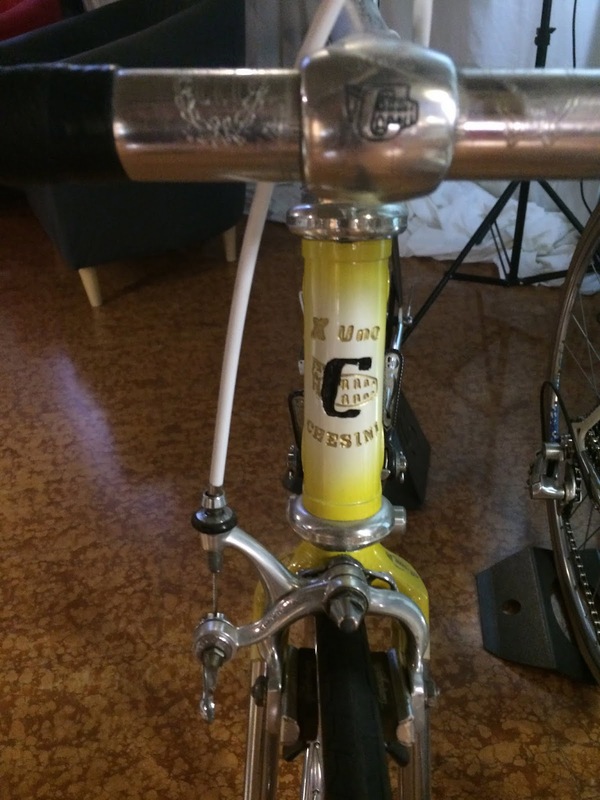 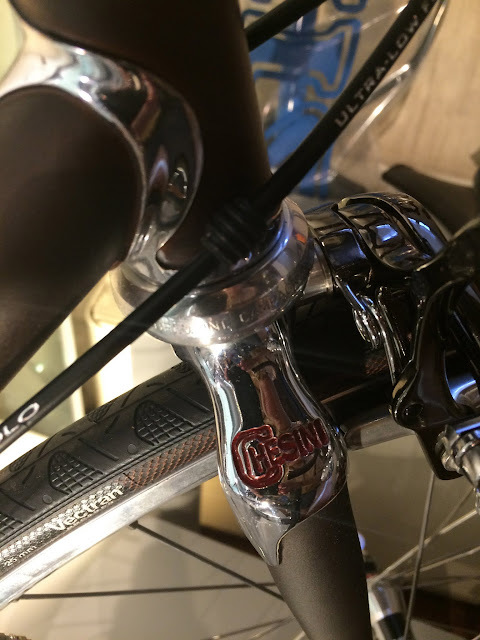 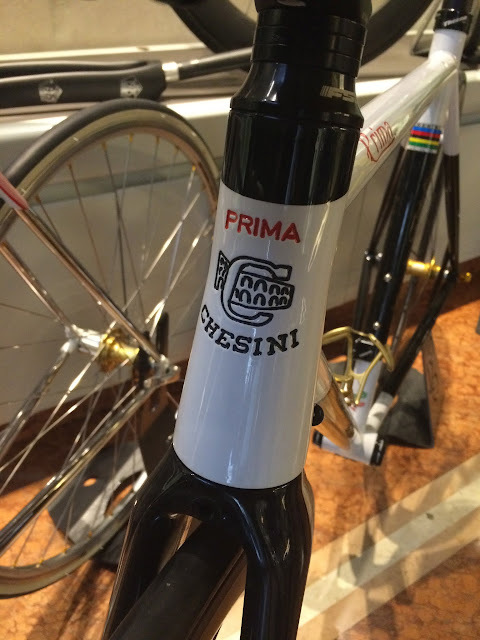 Chesini was founded in 1925 -- 14 years before Olmo, 23 years earlier than Cinelli or Gios, 27 years earlier than Colnago or Pinarello, with other "classic" brands such as Masi even later. 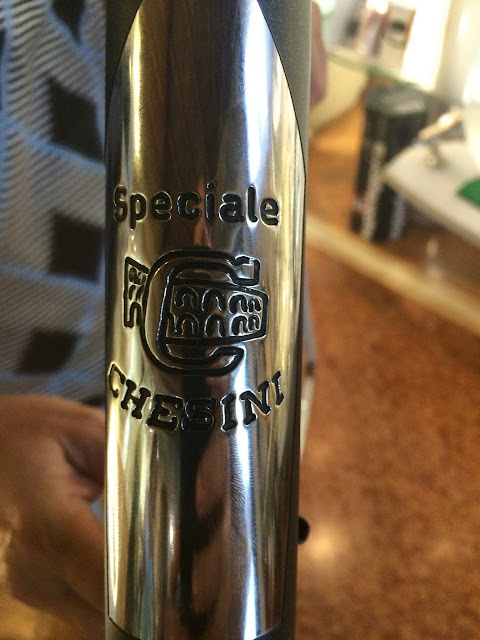 Chesini is celebrating its 90th anniversary. 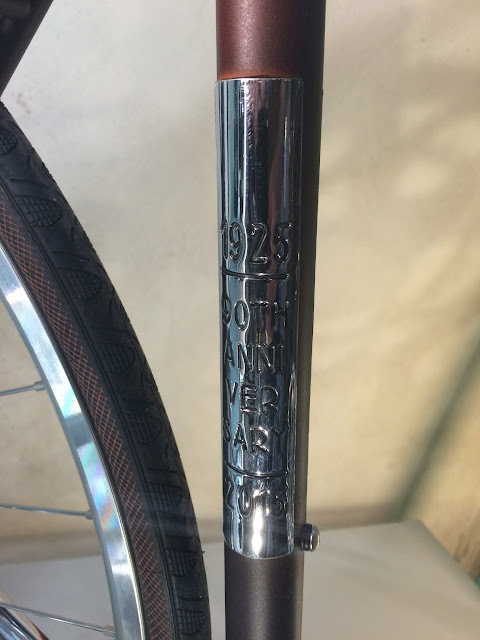 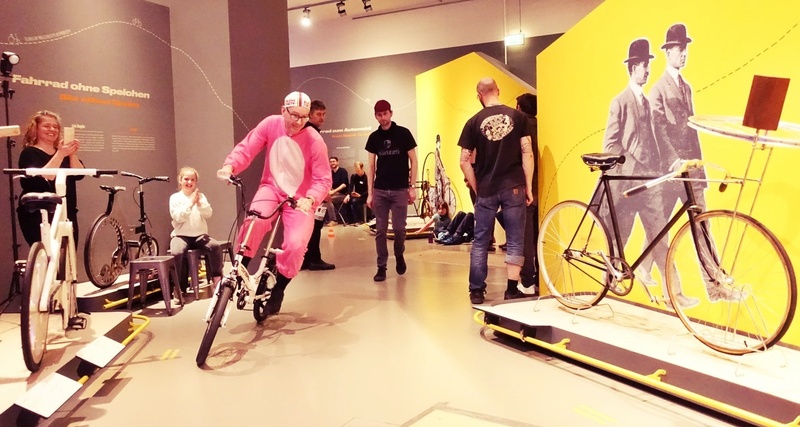 There was a spectacular anniversary edition bicycle on display. 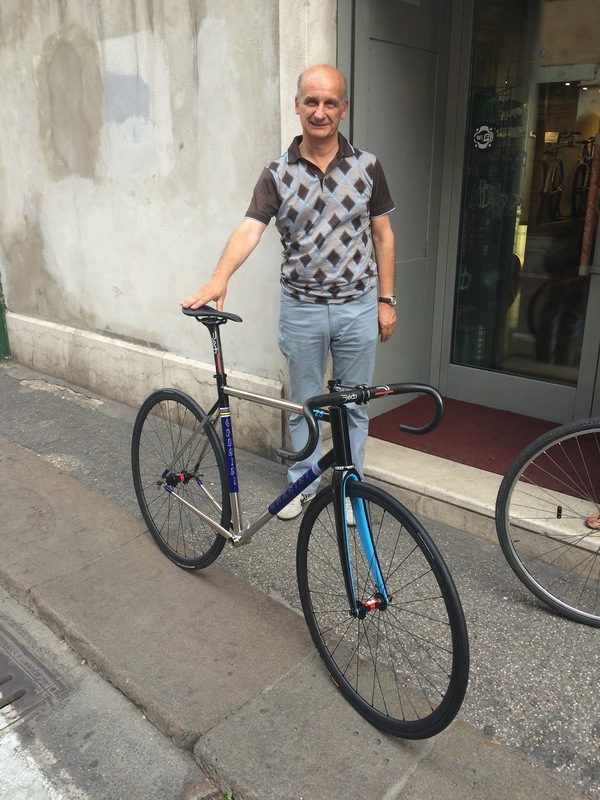 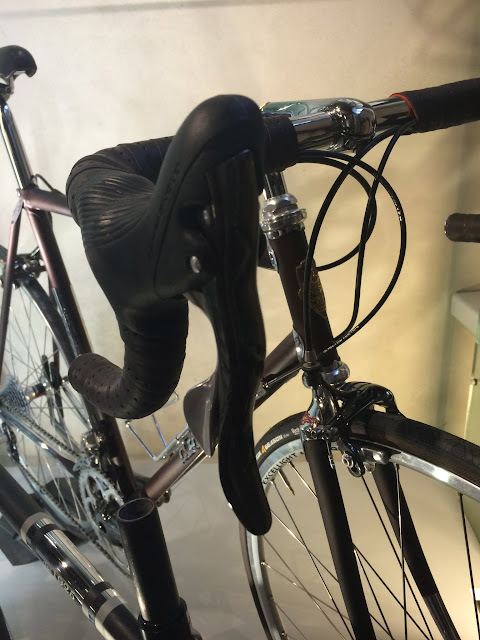 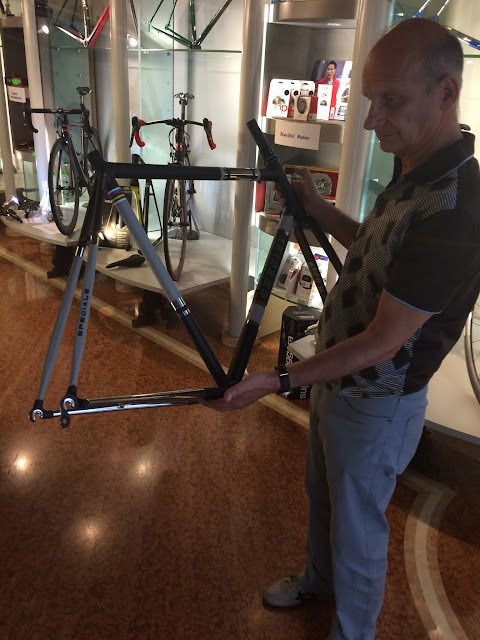 Chesini has a local racing team and cycling club in Verona, and Osvaldo told me that several members would be riding Paris-Brest-Paris, and would be riding Chesini's beautiful Prima bikes. 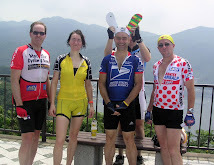 Indeed, I saw two of them, in Chesini kit riding Chesini bikes, one woman at the Villaines-la-Juhet control and her together with a partner taking a break beside the the road on the segment to Mortagne-au-Perche! 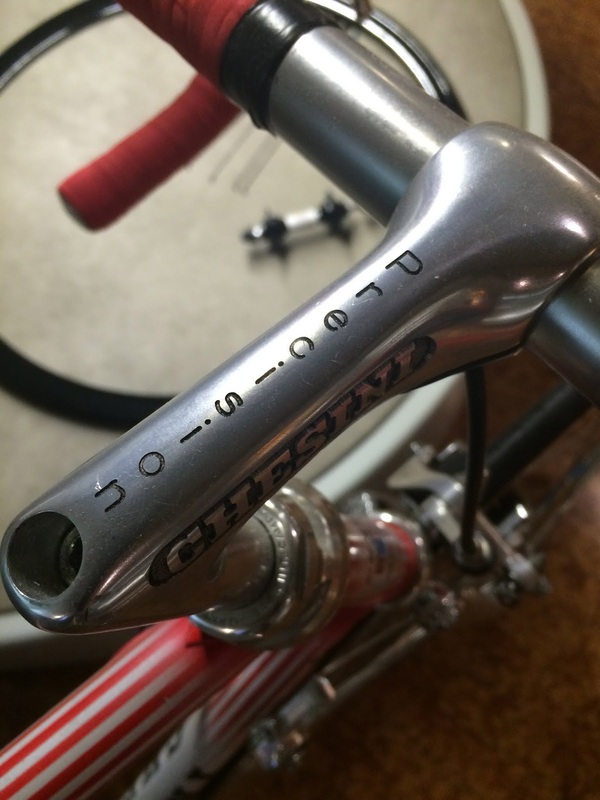 Some more classics from the showroom floor. 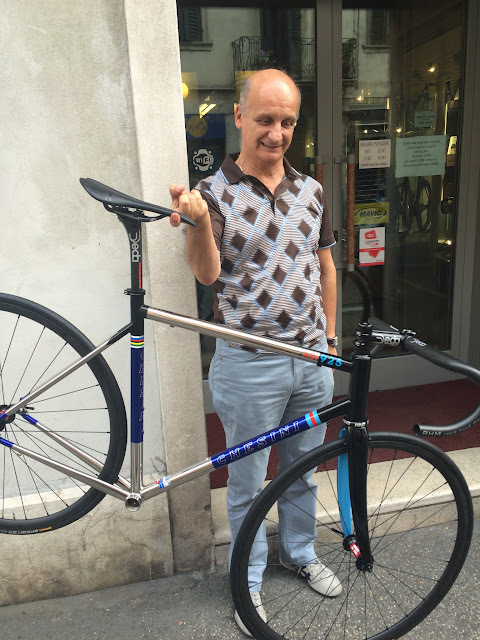 A bike for the 2013 world championships in Tuscany (Florence). 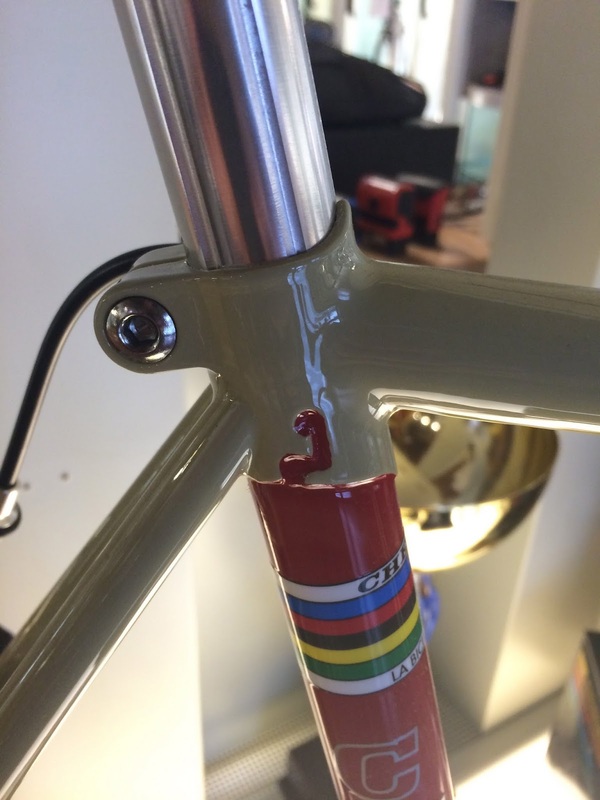 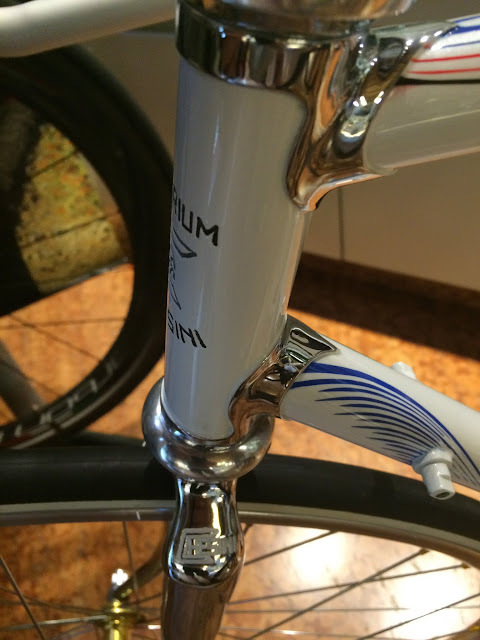 A design where the lugs are integrated into the end of the top tube and downtube. Very complex stuff and very beautiful result. More Chesini classic steel bikes. 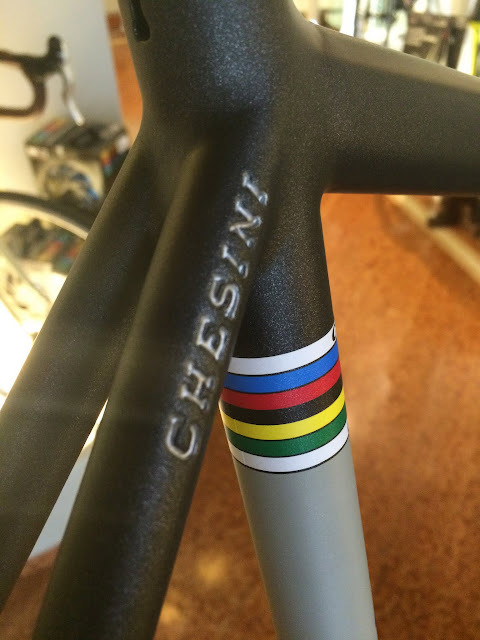 Modern Steel -- the Speciale! ... more to come ... !